If you are looking for a keynote or conference speaker with an exciting edge – then look no further than Peter Gianoli. He is energetic, charismatic and will ensure your next event is the most successful yet. 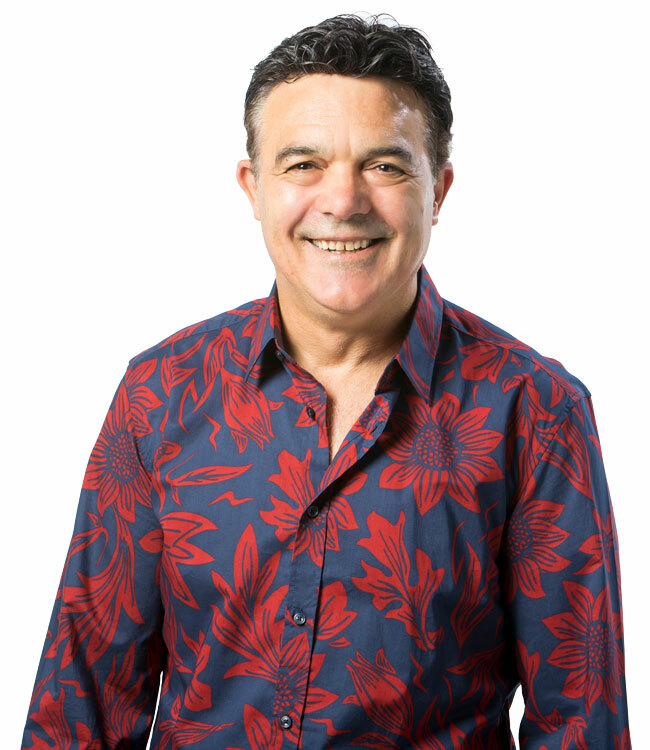 Peter’s knowledge, energy and enthusiasm is injected into his keynote speaking which guarantees to leave audiences motivated, inspired and beaming with positivity. With an extraordinary track record and understanding of Sales and Marketing, Peter can talk with authority about what is required to succeed in today’s market place. As a trained broadcaster, author and educator Peter’s point of difference is knowing how to structure his message and providing an appropriate range of resources from his vast publishing platform that he can leave with audiences to further reinforce the learning. In demand as a speaker, Peter balances a steady stream of bookings throughout Australia, Singapore and further afield. Bookings are usually required a few weeks in advance. This presentation emphasises the importance of embracing the sales and marketing function. Both sales and marketing are presented in a new light, and audiences get it. They will walk away with a new mental image of sales. In The Million Dollar Influencer, audience members receive a comprehensive blueprint to have them utilising all the latest skills and mindset to have them punching way above their weight. No stone will be left unturned and they’ll be taken through everything step by step. During this presentation we focus a lot on acquiring new business and the habits that will lead to a consistent flow of opportunities. Accompanying this talk is an optional 8-page workbook that participants complete either during the session (if the session is delivered as a workshop) or later (if the session is delivered as a talk). William Shakespeare once wrote, “All the world’s a stage,” and these words are still prophetic today. If you have something to say or sell — whether one-on-one, before a huge crowd, or on the Internet —- you are on stage. But the stage has never been more sought after — and simply being on it doesn’t matter much if the lights are not shining on you, or if there is no one listening or in the audience. This presentation (or workshop) is all about attracting that audience, turning on the spot and special effects lighting, and building passionate loyalty so your audience stays with you through every line, every thought, every offer. This is not about ego nor being the centre of attention. It is about having something of value to others and finding the most powerful way of getting that message to others who can benefit from it. If you are an aspiring (or already successful) author, artist, musician, public speaker, salesperson, candidate for public office – anyone who has something to say or sell – I want to help you take the stage and get noticed beyond your wildest dreams. I want to help you cut through and make a difference. Have you ever wondered why some people succeed at levels beyond their imagination, while others struggle? It comes down to how they manage their psychology, physiology, productivity and persuasion. Think about it. If you can’t master your mind, your body, your ability to get things done, and your ability to influence others to help you on your journey, then you’re stuck forever in mediocrity. Pyromania shows you how to behave differently which will set you and your results on fire. Accompanying this talk is an optional workbook that participants complete either during the session (if the session is delivered as a workshop) or later (if the session is delivered as a talk). We all know that first impressions count, and you only get one chance to make a first impression on your customers – so it had better be a good one! Happy customers are loyal customers and loyal customers spread positive word of mouth – which is priceless for your business. As a customer’s first point of contact is usually with your sales or customer relations personnel, the more positive, motivated, committed and knowledgeable your staff appear will equate to a positive experience with your business. A positive experience will naturally turn your customers into ambassadors and in turn help you grow your business. What’s more, these guys work for nothing! This presentation reinforces how customer service needs to be an integral part of everybody’s job and not just an extension of it. Customers are a company’s most vital asset, never to be treated with disdain. Accompanying this talk is an optional workbook that participants complete either during the session (if the session is delivered as a workshop) or later (if the session is delivered as a presentation). Consumers are changing. They are better educated and demand more from a product or service than ever before. This presentation will arm you with the tools, the vocabulary and the techniques to flourish during these changing times. Organised into six thought and action provoking elements, this presentation is a practical guide to impractical times and is a must for anyone in the sales, marketing or service sector. Accompanying this talk is an optional workbook that participants complete either during the session (if the session is delivered as a workshop) or later (if the session is delivered as a presentation). Participants are also offered a link to download a complimentary copy of the Product Minus Sales Equals Junk eBook, where the seven powerful psychological triggers that can serve to enhance any sales or marketing message are outlined. Are you a big thinker? Have you been sitting on a concept for years and simply don’t know how to make it a reality? Well before someone steals it from under your nose it’s time to learn how to turn notions into dollars, thoughts into actions and feelings into reality – and it’s just a matter of knowing how. This presentation will help you develop your ideas and through a series of structured and realistic steps, finally bring it to life. Please contact Darlene darlene@brownststudio.com.au or call +61 413 777 225 for fees and availability. Or click the Book Now button to submit your details. To download a pdf handout of Peter’s latest presentation pack outlining his speaking topics and how he can adapt presentations to suit your audience please click the Download button.